With their overwhelming economic impact and massive environmental footprint, the oilsands have loomed large for Alberta governments charged with their stewardship. 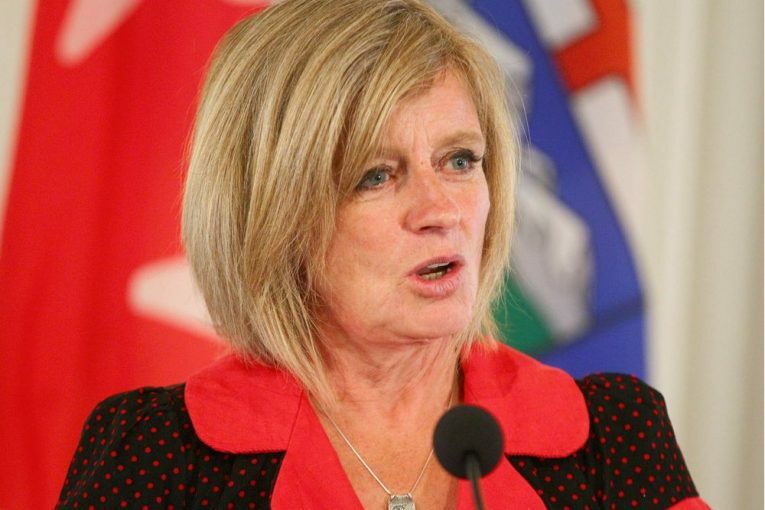 Premier Rachel Notley sat down with Postmedia political reporter James Wood to discuss her government’s approach to the resource and how she sees its future. This interview has been edited for clarity and length. Q: What do you think previous governments did wrong, and what did they do right, in relation to the oilsands? A: There have been times when the pace of the oilsands has been very difficult to manage and so not always the best decisions have been made. But there’s no denying the fact that this is a massive, massive economic asset to Canadians, as well as Albertans. It just is. When you realize how much it contributes to the national GDP level, let alone to Alberta’s GDP, it’s something that we need to celebrate. Q: Over the last 10 years, the oilsands have become the target of international and Canadian environmental criticism. Do you think that could have been avoided? A: It’s hard to say … Alberta did not create the climate-change reality and the fact of the matter is that as the world becomes increasingly concerned about climate change, people who are interested in seeing countries take real action to address the concern are going to look for targets that are easier to take pictures of and easy to explain and to show the world. So the oilsands is one of those things. For years what the government of Alberta did to even further put the oilsands into the crosshairs of these folks was to refuse to talk about climate change … Had they taken a more responsible approach to addressing the issues and acknowledging the issues and moved faster, I think the situation wouldn’t have gotten to the point it had gotten to by the time we got in power. Q: What do you think is the future of the oilsands? A: The demand for sustainably developed and environmentally responsible and low-emissions form of oil is not going to disappear in the short to medium term. That just is what it is. The world is still going to need it. But what they’re looking for is a product that is ethically developed, that is developed in an environmentally-responsible way. I think we in Alberta have an ability to meet that need. Q: Some industry leaders believe the oilsands can continue to grow without hitting the NDP government’s 100 megatonne cap on carbon emissions because of better technology. Do you agree? A: There’s different projections out there, whether we will come up against the cap, and every year it changes. Now that we’ve put that incentive in there, the companies themselves are investing in a way that they weren’t before in those kinds of innovations, which is really good news. So it may well be that we’ll out-perform the projections and instead of coming up against the cap in 2030, we may never come up against it … If that’s the case, we can also keep pushing, you know, so great, you don’t come up against the cap, maybe the next step is to drop the cap. Let’s be optimistic. Let’s have confidence. Let’s look at how we can always look to do better. A: … shutting down the oilsands? I highly doubt it … When you have those numbers staring you in the face in terms of what is the path forward for economic growth and prosperity and job creation, not only in Alberta but in Canada, how are we employing our young people, how are we bringing investment into this country, there’s not a single solitary person that is going to look into those numbers and fail to see the value of the oilsands to that formula. I’d love to be able to play the guitar on the street and sell necklaces to tourists as a way to make money for everyone in my family. But you know what, that’s not the way it works and Canada has established a fairly successful economic record based on our natural resources. So what we need to do for sure is we need to invest in upgrading and invest in the new technology and look at ways to create new products from this thing that we have that most of the rest of the world does not have. It would be remarkably irresponsible for any federal government to walk away.